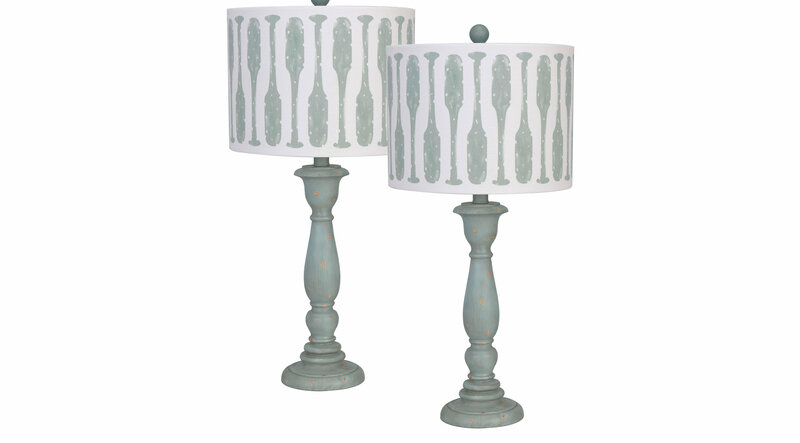 This Alec Bay weathered blue table lamp is a great addition to the living room or bedroom for some coastal flair. The white linen shade with paddles are sure to bring the coastal feel to the room. Comes as a set of 2, perfectly paired for any room!